Cardi B responds to backlash for deciding to Trademark her insanely popular catchphrase “Okurrr”. Earlier this month, the “Bodak Yellow” rapper Cardi B filed to trademark her popular catchphrase, “Okurrr” for merchandising purposes. The award-winning rapper wants “Okurrr” imprinted on paper goods, like cups and posters, as well as a clothing line featuring pants, shirts, and hoodies. The Bronx rapper responded to criticism over her plans to trademark her “Okurrr” catchphrase. The rapper regularly used the sound in her music and during interviews, and once described it as being comparable to the sound “a cold pigeon” might make her in her native New York City. 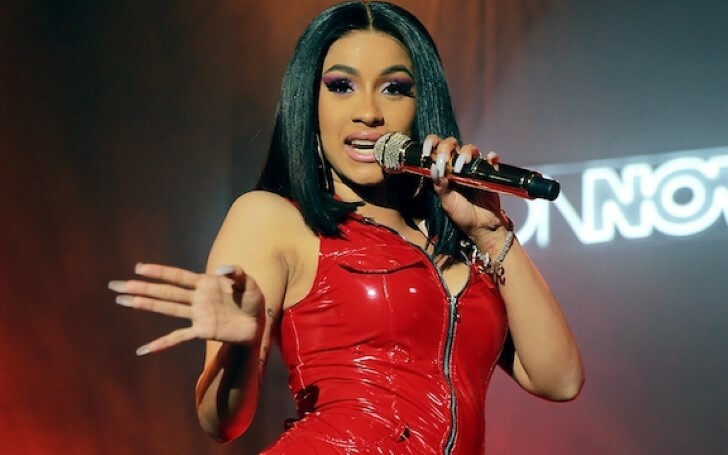 Cardi’s company Washpoppin Inc. filed the trademark application on March 11, to trademark the use of ‘Okurrr’ on merchandise like t-shirts, hoodies and “paper goods – namely paper cups and posters”. The rapper later took to her social media to respond to the public scrutiny around the move. “Okurrr” will officially have 3 R's at the end even though Cardi also made sure to file documents for a version with only 2 R’s for the trolls.